Download Our New Book Instantly for Free! Don't worry—your e-mail address is totally secure. I promise to use it only to send you The Peaceful Runner News! My favorite part of vacation is finding a street or trail where I get out and see the neighborhood. It helps to clear the mind and put a smile on my face. I've been running for 30 years and I love to be on the road. I've recently taking up mindfulness and mediation and trying to incorporate it into running. I'm working everyday to run non judgmentally. I hope to share and learn from you all. I just recently ran the Disney Avenger's half marathon. The wind blew 22mph. It was awesome. Join in and write your own page! It's easy to do. How? 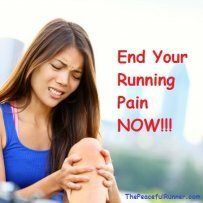 Simply click here to return to Join the Peaceful Runner Club. If you like this page, please share it below or add your comments. 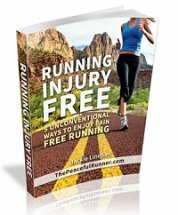 © Copyright 2010-2019, By Jackie Linehan, ThePeacefulRunner.com. Download Our Free E-Book Instantly! Don't worry—your e-mail address is totally secure. I promise to use it only to send you The Peaceful Runner Newsletter and you can unsubscribe at any time! Shop New On Running Shoes Gear & More! Minimalist shoes at a reasonable price. Behavioural kinesiology can help us become stronger runners. Using the knowledge discovered in this discipline, we can stimulate our muscles to keep them strong. Just 15 Minutes a Day! Access Your Powerful Subconscious Mind Using Theta Brainwave Frequencies and Subliminal Technologies! 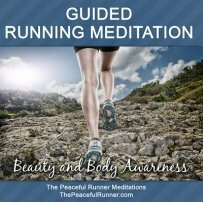 Try our Guided Running Meditation to become a peaceful, happy and injury free runner.